Pluck the rubber band strings! 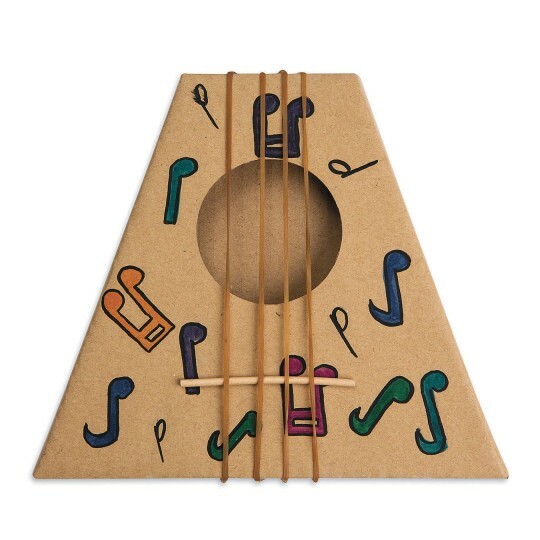 Easy-to-make craft with a musical twist! Make 'em all and strike up the band! All materials you need are included. 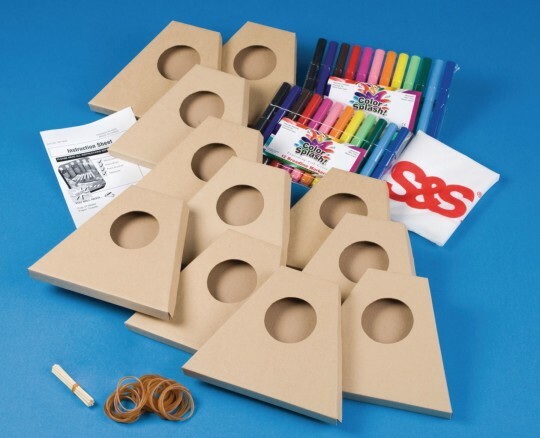 Just add crafting and musical talent! Great Summer Reading tie in! A great tie in with our Summer Reading theme. The kids loved them and were very creative with the decorations. Great that you included markers--good value. Use this with K through 6th graders. This is a product to buy! I was teaching a sound lesson in STEM. The students enjoyed decorating the MandoHarp and putting it together. These were a hit at the Art Fair! We did these with 500 kids under the age of 8 and they loved them! 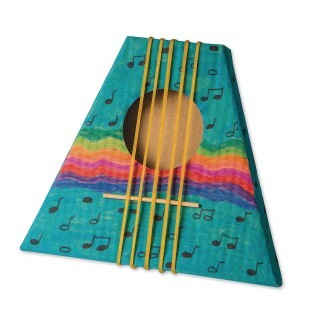 Super easy....just color and add the strings! My 3 year old won't set his down! Not very well put together. This mandolin does not play as it should. The design is wrong. The small wooden dowel should be much larger to allow for the instrument to be played. Or there could be a piece of cardboard that could be inserted similar to that of a guitar. Perfect way to combine music and art! We LOVE these harps!We used these to teach art and music together at a large regional music festival. They were a huge success! The children decorated the harps and with the help of one of our artisans we added the strings and taught them how to tune the harp. Only one problem with the harp as they come packaged - the small dowels really didn't give us a very good sound. We cut small pieces of 1/4 inch dowel and substituted that for the small ones. It gave us a better - more accurate - tone.We will be buying these again - and again!